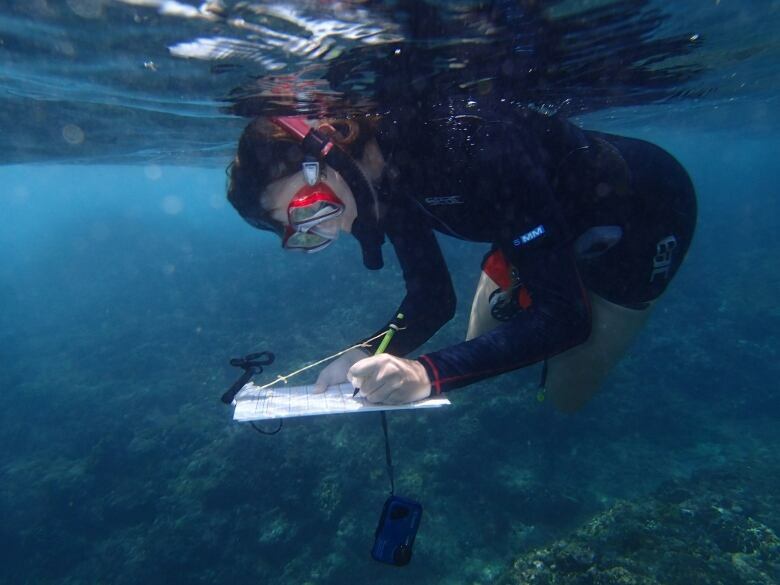 Lancaster University marine biologist Sally Keith and her colleagues were looking into how the behaviour of butterflyfish might vary geographically — but then a mass coral bleaching event hit, and the study’s direction changed. She says she noticed a decrease in the amount of aggressive behaviour displayed by butterflyfish after the coral bleaching. Her colleague Nathan Sanders has called the butterflyfish the “canaries of the reef,” and they say the results of this study — published this week in the journal Nature Climate Change — could mean bad news for other species. Keith is the lead author of the research. Here’s part of her conversation with As It Happens guest host Megan Williams. The [butterflyfish] that you were studying — where do they live? I have field sites in multiple places. These fish live all across the Indian and Pacific Oceans, and also in the Caribbean. But I was looking at them in Japan, the Philippines, Indonesia, and Christmas Island in the Indian Ocean. 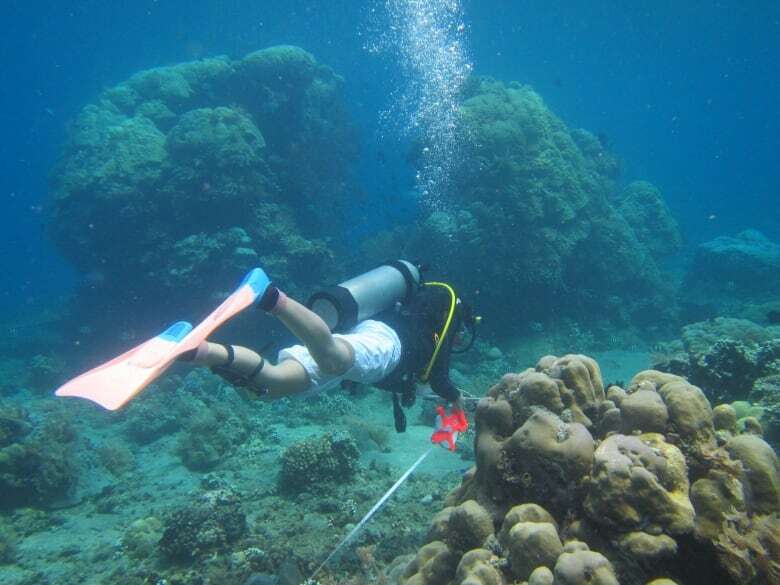 You didn’t go into this study looking for a connection between coral bleaching and fish behaviour. What happened? Originally, this study was looking at how behaviour varies geographically — so we were looking at whether they’re doing different things in these different places. Luckily, we collected all of our data just before a mass bleaching event. That gave us this really nice baseline data set for how they behave normally. Then the bleaching hit. That gave us this chance to take advantage of a natural experiment, where we had bleaching occurring in all of these different locations. So we realized it would be really, really a great opportunity to go back and see how that bleaching had affected this behaviour. Can you remind us what happens when there is coral bleaching? Coral bleaching is a stress response of the corals. So it can happen because of lots of different things. But in this case, the global bleaching in 2016, it was because the water temperatures got too hot. What the corals do — the little, tiny algaes that live inside them — get expelled into the water. That makes the corals lose a lot of their colour. They can actually recover. So if the temperatures go down quick enough, they can reabsorb those algae, and they’re OK again. But if the temperatures stay high for too long, then they end up dying. 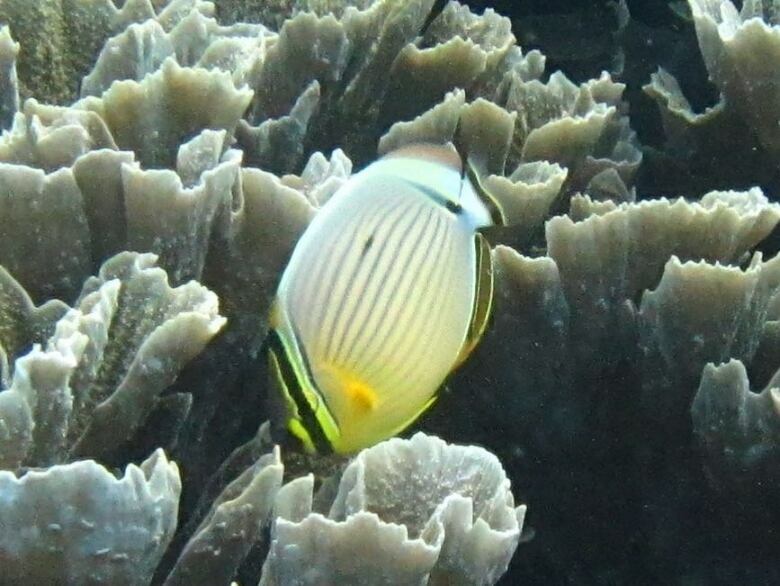 You mentioned that you were able to look at the behaviour before and after the bleaching of the butterflyfish. What did you find? So we were particularly looking at how much they fight over corals because corals are what they eat. We looked at how their aggression had changed. Before the bleaching, there was about 15 per cent of the encounters between butterflyfish individuals that were aggressive — so one would chase the other one away. After the bleaching, that went down to just five per cent. We think the reason is because their favourite food, which is also the most nutritious part of their diet, is one of the most susceptible corals to bleaching. That meant that the butterflyfish, although they could get enough food to survive, they weren’t getting quite so much nutrition. We think they just didn’t have enough energy left over to invest in fighting anymore. How many fish did you look at? We looked at 5,259 encounters. … That was across 38 different species of these fish. We found that this change has happened on all of our reefs, except four reefs which actually did recover from bleaching. So where we did have recovery, we didn’t have this reduction. And where we didn’t have recovery, we did. So that’s fairly strong evidence that that’s what’s driving the change. Your colleague has called the butterflyfish “the canaries of the reef.” What does that mean? So, because butterflyfish depend so heavily on corals — they’re eating them, and they’re also using corals for shelter from predators — they are often the first ones to feel the effects of any bleaching event or anything that disrupts the health of the coral reef.